World Silver for STORM Canis Advocate Bethan Fitzgerald who heralded a team effort from the Fitzgerald family. 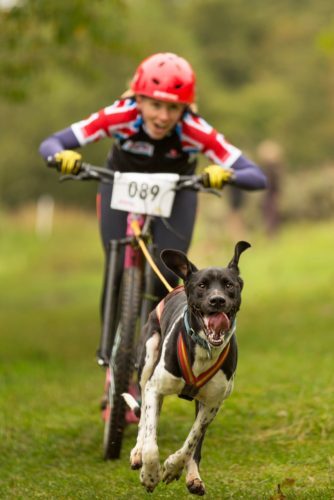 It was Gold for STORM Canis advocate Bethan Fitzgerald and her dog Charlie in the Scooter event at the recent European Cani-cross championships. 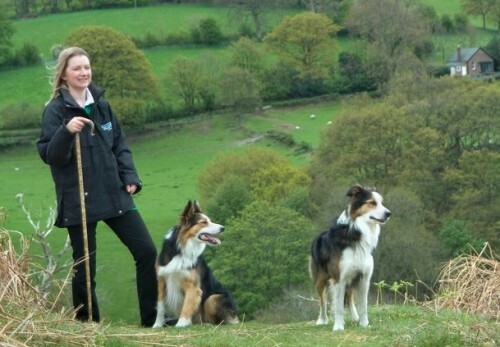 Bethan is a vet based in Elgin Scotland and so was on home turf for this prestigious event. Trainer & vet Ilka Gansera Leveque backs STORM. as part of her team. Based in Newmarket at St Wendred’s Stables, Ilka and her husband Stephane are a unique and formidable team, combining strong practical skills with veterinary science. They are in a unique position to evaluate STORM for racing and this is what they say. “In Racing Blue STORM, I have found that perfect balance between improving athletic performance across speed, strength and stamina. I am delighted to be associated with Racing Blue and our Arabian stallion, a natural athlete with his gleaming chestnut coat, toned muscles and exciting performance, is one of the best possible illustrations of how Storm delivers results. I totally trust the equine science that has gone into producing this palatable product and I consider that, with Racing Blue, I have found a winner”. “Without a doubt Racing Blue Storm has enhanced my horses’ performances. 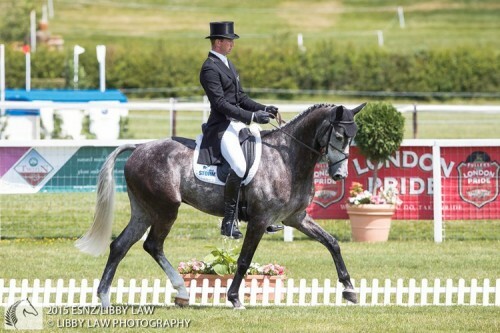 Both Amsterdam and Kaapachino looked magnificent at Luhmuhlen, and they returned from their cross country full of running.” – Jesse Campbell New Zealand High Performance event rider. Luhmuhlen in Germany was such an incredible event for me where both my horses, Kaapachino in the CCI4* and Amsterdam in the CIC3*, were just brilliant. It was my first four star event and it more than surpassed my expectations. 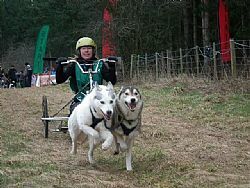 First race went down a STORM® with the sledge dogs! We started our race season on great form at the SDAS Tentsmuir race October 2014. It was going to be interesting to see if the Racing Blue – Storm® Canis feed supplement, that we had begun trialling, was going to positively influence their performance. Imperial Kennels’ Mark Wallis won the 2014 GB greyhound trainer title in style, a year after STORM CANIS helped him secure his 2013 victory at the 11th hour. 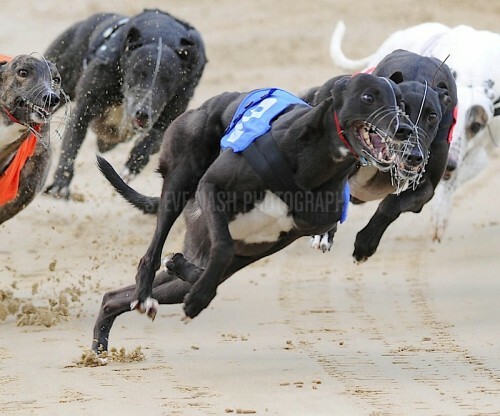 He is well on the way to achieving legendary status in the British hall of fame of truly great greyhound trainers, as the dogs in his charge continue to literally go from strength to strength. Good news travels fast; some of the best flyball dogs in the UK are already using STORM CANIS even before it went on general sale in this market and both companies believe that the product has a bright future in all sports where dogs have to excel physically. Andrew Nicholson on Nero, Mark Todd on Leonidas, Tim Price on Wesko, Jonathan Paget on Clifton Promise, Lucy Jackson on Willy Do and Jonelle Price on Classic Moet. STORM® CANIS™ makes Dreams Come True! At 500/1 ante post price, nobody really thought that Bruno Berwick’s young Salad Dodger had a chance in the 2014 William Hill Derby. Indeed, having been running at B4 grade only three months before the final and being only a 23 month old puppy, coupled with the loss of his home track at Coventry, Salad Dodger looked a most unlikely contender to win the jewel in British greyhound racing’s crown. 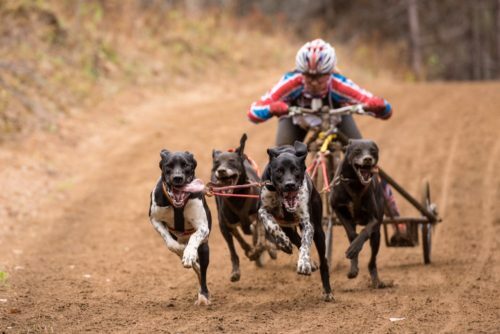 Racing Blue, inventors of the revolutionary equine supplement STORM®, has completed development of a product for racing and working dogs called STORM® Canis. 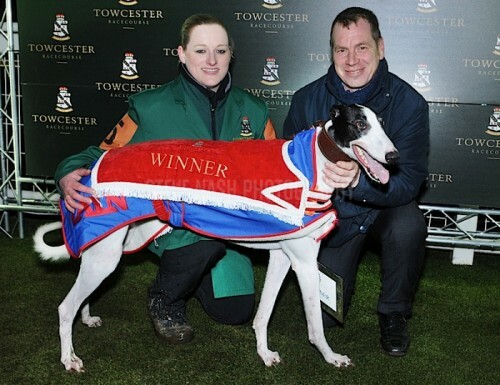 Recently crowned 2013 Trainer of the Year Mark Wallis was given the opportunity to trial it on a cross section of his canine talents, and was delighted with the results.